Established in 2007 by James Watt & Martin Dickie. Built a £7m Eco-brewery, opened 11 UK bars and one in Stockholm, exporting to 32 countries worldwide, and has raised £4m vie Equity for Punks. Planning on opening a visitor centre, bottle shop and brewing academy. They are very active on many social media platforms but the two key ones for them are Facebook & Twitter. She then ran through the main platforms talking about the number of users, etc. Visual content is huge, they post at least one photo a day taken from the brewery. They also do quite a bit of crowd sourcing to get their customers viewpoints. 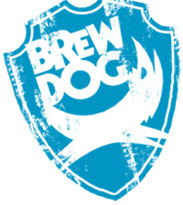 She then moved on to talk about the Fake Lager campaign, they did an April Fools gag about producing a lager and ditching the craft beer scene, on April 2nd they said tht they would still be producing the lager which caused lots of conversation about BrewDog on social media platforms. #mashtag was a twitter crowded sourced beer recipe, name & label. People were voting for how they wanted the beer to end up. They also brewed Sunk Punk - the first beer to be brewed under the sea, she showed a video of the making of the beer, the sinking of the vessels and the raising of them too - gave the complete picture.